In this Call of Duty Black Ops 4 Guides hub we’ve pulled together everything you’ll need to know to get ahead, including a guide to using CoD Points. 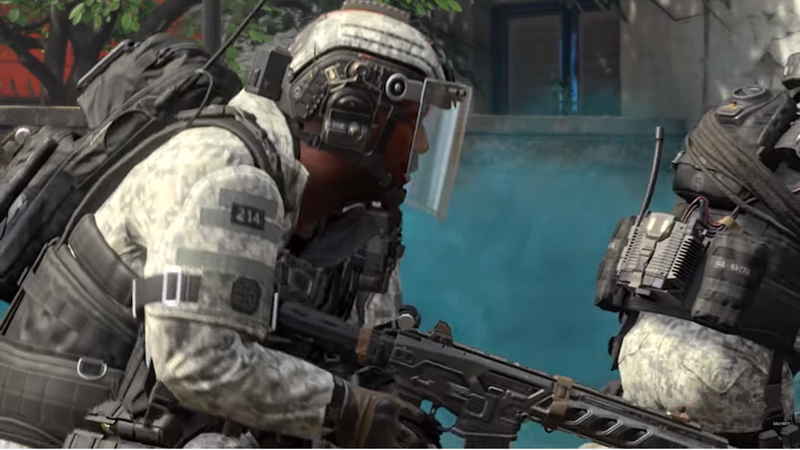 There's a vast number of weapons available to you in Call of Duty: Black Ops 4, some of which are brand new additions to the franchise. In this Black Ops 4 best weapons guide, we'll be compiling a complete list of all the best shotguns, snipers, assault rifles, pistols, and more in the entire game. For more on Call of Duty Black Ops 4, head over to our Black Ops 4 Guides Hub. It’s full of info on every aspect of the game. It covers multiplayer tips and tricks, and guides to other game modes. Note: This Guide uses data from Reddit User Xeppeling, who has been gathering info on Black Ops 4 with the help of the community. Head here to check it out. By completing certain challenges or redeeming pre-order bonuses, players can get Signature Weapon versions of their favorite guns. It's also possible to earn Signature Weapons via the new Black Market feature. To read more about the Black Ops 4 Black Market, read our Call of Duty Black Market Guide. 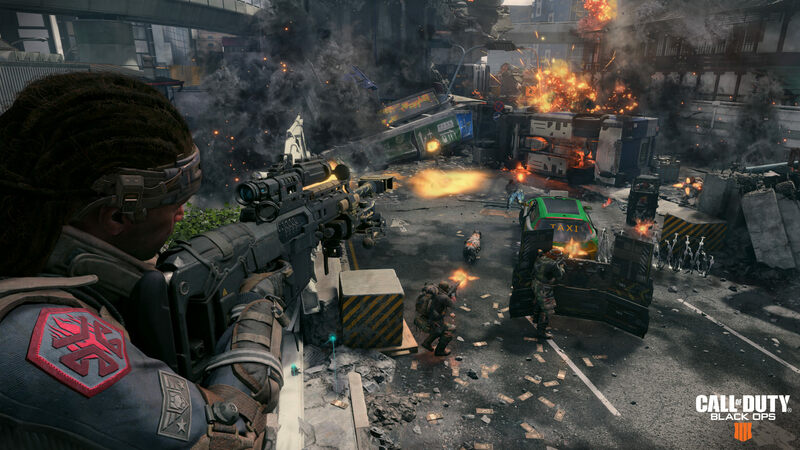 There are a ton of awesome weapons to choose from in Call of Duty Black Ops 4, from powerful assault rifles to laser-precise sniper rifles. We’ve listed them all below, broken up by category, alongside the required unlock level. Even though Black Ops 4 doubles down on the lightning fast twitch gameplay that has dominated first-person shooters over the last few years, assault rifles are still a viable choice. You’ll get more stability and range than you will with an SMG, and running with an assault rifle will ensure you’re up for all kinds of engagements. Let’s take a look at all of the Black Ops 4 Assault Rifles. Black Ops 4 Best Assault Rifle - the best assault rifle in Black Ops 4 is the Vapr-XKG. It has incredibly good mobility, something you'll need in a game as fast-paced as Black Ops 4. In Black Ops 4, SMGs are kinda king. The fast-paced nature of the matches, and the relatively small size of the maps really lend to having a fast-firing weapon. There are a few different types that you can choose from, so be sure to take a look at the info below. Black Ops 4 Best Submachine Gun - in our opinion, the best submachine gun in Black Ops 4 is the Spitfire. It's Operator Mod gives it the fastest fire rate in the game, making it incredibly deadly. Black Ops 4 Best Tactical Rifle - the best Tactical Rifle in Call of Duty Black Ops 4 is the ABR 223. The Burst Accelerator Operator turns it into an OP killing machine, capable of dominating firefights of all types. Black Ops 4 Best LMG - the best LMG in Call of Black Ops 4 is the Titan. It is surprisingly effective despite its weight, and you'll likely see a fair few players using it more like an assault rifle than anything else. Black Ops 4 Sniper Rifles - for our money, the best sniper rifle in Call of Duty Black Ops 4 is the Koshka. If your accuracy is good, you'll one-shot kill other players extremely easy. It doesn't have as much ammo as the others, so it's a good idea to have the Scavenger Perk equipped. Black Ops 4 Best Secondary Weapon - the best choice for secondary weapon is likely the RK7. You won't get much out of a shotgun unless you want to spend attachments and slots beefing it up, and the Hellion Salvo is incredibly difficult to use. Titan LMG - a very consistent weapon with a four-shot kill. Loading this with the right attachments like Quickdraw and Stock is a great way to go. MX9 - Once you’ve equipped rapid fire, advanced mag, stock on the MX9, it is the ultimate SMG. You’ll have a fair bit of recoil, but keep your aim steady and you’ll fill opponents with a ridiculous rate of fire. ABR 223 - the ABR is an absolute beast when paired with the Burst Accelerator Operator Mod. It allows you to fore incredibly fast burst rounds while holding down the trigger, with a very short time to kill.